WASHINGTON — President Donald Trump has decided to revoke former CIA Director John Brennan’s clearance for access to classified information, he said in a statement read by press secretary Sarah Sanders on Wednesday. 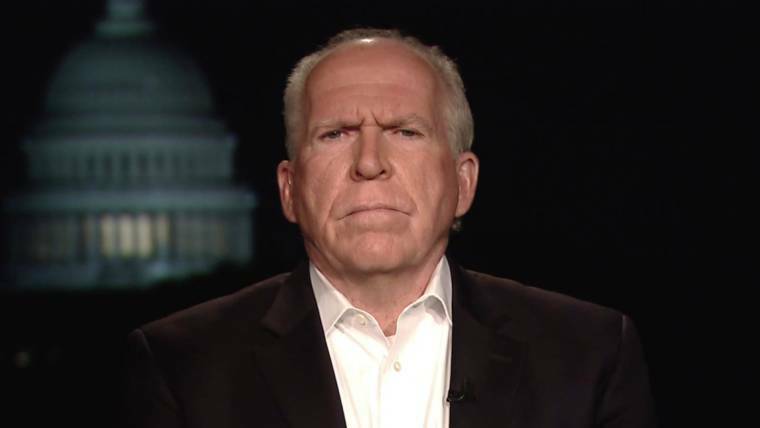 Brennan, who served as director of the clandestine intelligence agency in President Barack Obama’s second term, has been a frequent critic of Trump. 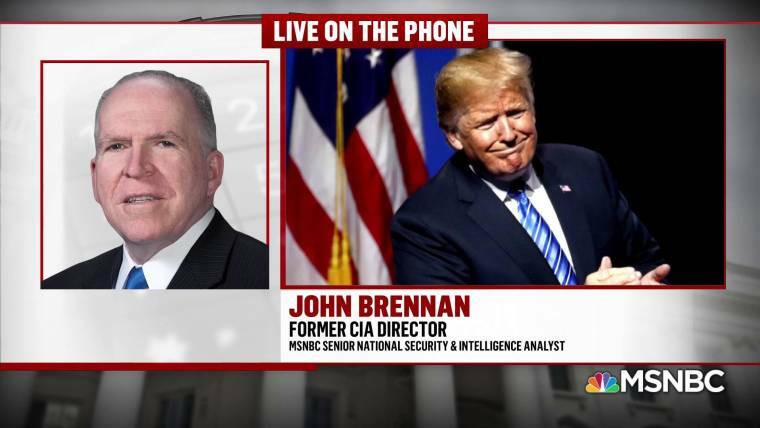 Brennan, a senior national security analyst for NBC News and MSNBC, fired back during an interview with MSNBC’s Nicolle Wallace and on Twitter on Wednesday. An official familiar with the decision confirmed to NBC News that the director of national intelligence, Dan Coats, was not informed before the announcement. 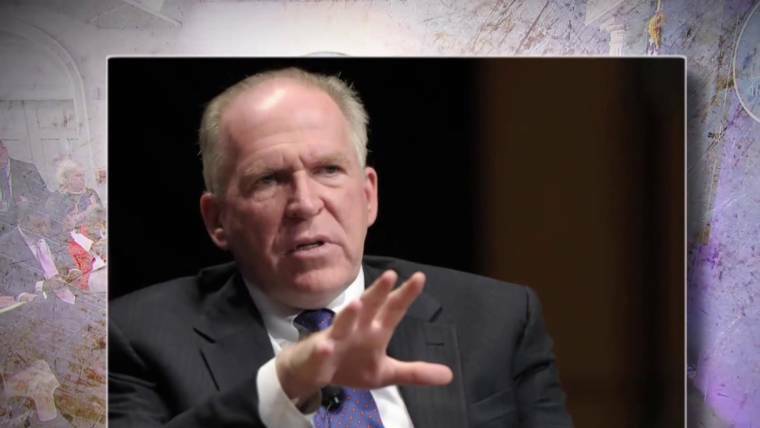 Specifically, Trump cited Brennan’s denials that the CIA would access congressional computer files and statements that a dossier compiled by Christopher Steele about Trump during the 2016 campaign did not inform the agency’s findings on Russian interference in the election. For decades, former national security officials have retained classified clearance in part so they could be consulted on closely held information by officials in ensuing administrations. Sanders acknowledged that reason — and courtesy — as justification for why many former officials continue to hold their clearances. Sanders declined to provide any evidence that Brennan had used his security clearance to improperly access or transfer classified information or to make money. When the White House first threatened to pull Brennan’s clearance — along with those of other former and current administration officials — House Speaker Paul Ryan, R-Wis., said Trump was just “trolling people” and wouldn’t follow through, adding that the process was under the purview of the executive branch. In addition to Brennan, Sanders said the president is reviewing the clearance status of a series of Obama and career intelligence, national security and law enforcement officials, all of whom have been critical of Trump or were engaged in investigating possible ties between Russia and Trump’s campaign. “Security clearances for those who still have them may be revoked, and those who have already their lost their security clearance may not be able to have it reinstated,” Trump said. The list includes: James Clapper, a former director of national intelligence; James Comey, a former FBI director; Michael Hayden, a former director of the National Security Agency; Sally Yates, a former acting attorney general; Susan Rice, a former national security adviser; Andrew McCabe, a former deputy FBI director; Peter Strzok, a former FBI agent; a Lisa Page, former FBI lawyer; and Bruce Ohr, a current Justice Department official. The White House later sent out text of the Trump statement as read by Sanders. The statement was dated July 26, three days after the White House first said the president was considering the move. The White House told reporters that the date was the result of an internal copy-and-paste error. John McLaughlin, who was deputy director of the CIA and served two months as its acting director during the administration of former President George W. Bush, said the statement didn’t support the order Trump issued. “American voters must not shrug off or be distracted from the terrible behaviors of this president, who lies to the American people every day, encourages racism, is a misogynist, and always puts his own interests above those of the United States of America,” he said.